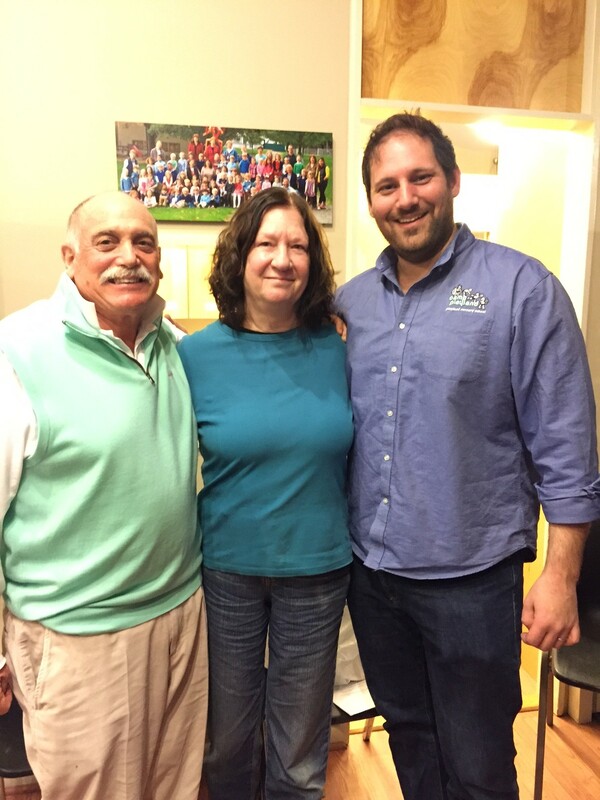 Recently, Nancy Grunberg announced her retirement from Camp Playland. Aunt Nancy has been the Arts & Crafts counselor at Playland for 30 years. 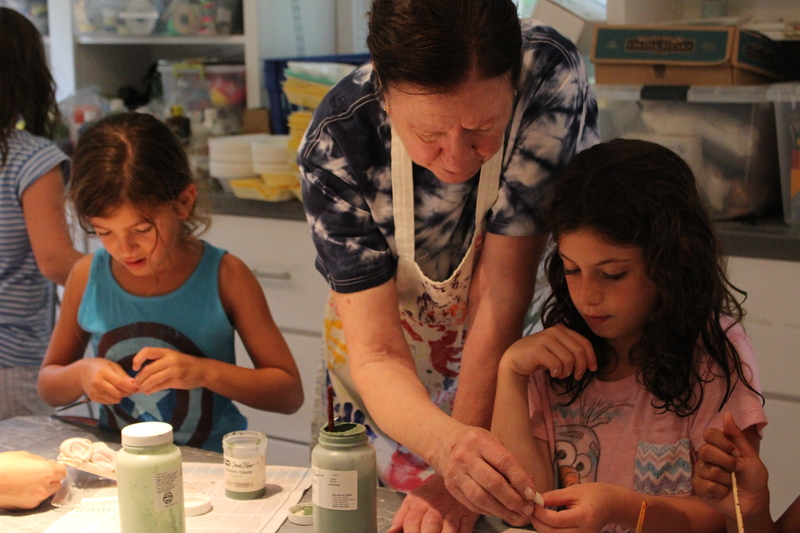 Since 1985, thousands of counselors and campers have benefited from Aunt Nancy’s creativity, artistic talent, and well planned arts & crafts program. Thank you, Nancy, for clay soap dishes, freshly dipped candles and friendship bracelets. Thank you for tie-dye tshirts, paper-mache puppets and gimp. For newspaper hats, batik pillows and beady key chains. In Nancy’s first summers, Arts & Crafts was in Uncle Gary’s carport. Nancy remembers that she “had to use stones as paperweights to keep the projects from blowing away!” She then moved her studio indoors for twenty-five years to what is now used as the pre-k room. This made life easier. “One day in the carport I left the plaster casting out to dry overnight and came to camp the next day to see raccoon footprints all over the tables and driveway.” Most recently, Nancy was working in our new arts & crafts studio with built in cabinets and shelves. “A huge improvement,” says Nancy.